In a futuristic post apocalyptic world a squad of teenage girls known as the valkyries must fight to survive against hordes of zombies and ferocious battle beasts. If you download Honkai Impact 3rd you’ll get to play as the captain of your squad and will be in charge of leading your team of girls into battle against formidable foes. 1. Each member of your squad has a unique personality and abilities. The key to winning difficult battles is learning how to take advantage of each of your squad member’s unique abilities. 2. The more that you play, the more that you’ll learn about each character’s backstory. You’ll soon grow addicted to playing Honkai Impact 3rd as the further you delve into the game, the more of each girl’s backstory you’ll uncover. 3. Each time that you play a new campaign, you’ll meet new allies. Honkai Impact 3rd frequently releases new campaigns some of which are available for a limited time. If you assumed that your squad would have to complete each campaign alone, think again as each time you play a new campaign you’ll come across new allies, who’ll be able to assist your squad in their mission. As an example, in the Honkai campaign your squad will meet Robert Peary, an experienced explorer and the fearless leader of a successful polar expedition. 4. There are countless magical weapons to unlock. As an example, the Skadi Ondurgud, which is also referred to as the relic of the north, is an ice based sycthe, which can effortlessly cut through enemies. In some cases you may even find relics which will turn one of your squad members into a magical weapon! Each character in your squad will be able to wear a variety of cute outfits. While many rpg games rely heavily on text based storylines, Honkai Impact 3rd features a fully voiced storyline. So you’ll get to hear each of your main characters speak. Just be warned that while Honkai Impact 3rd has an engaging storyline, that the further you get into the game, the darker some of the plots will become. However, if you enjoy high stakes storylines you’ll enjoy playing a storyline which keeps you guessing. 7. In game chat system. If you’re keen to socialise with other rpg gamers, make sure to check out Honkai Impact 3rd’s in game chat. Where you’ll be able to share tips and battle strategies with other players. From the first minute you open Honkai Impact 3rd, you’ll be blown away by its 3D graphics. 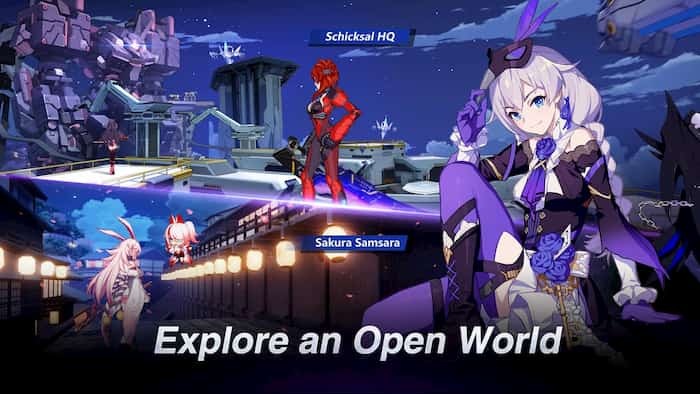 Moving effortlessly through Honkai Impact 3rd’s world is a breeze as it offers smooth game controls. 10. It’s easy to earn in game currency. If you don’t enjoy grinding to get enough currency to progress through games, breathe a sigh of relief as it’s simple to earn in game currency. 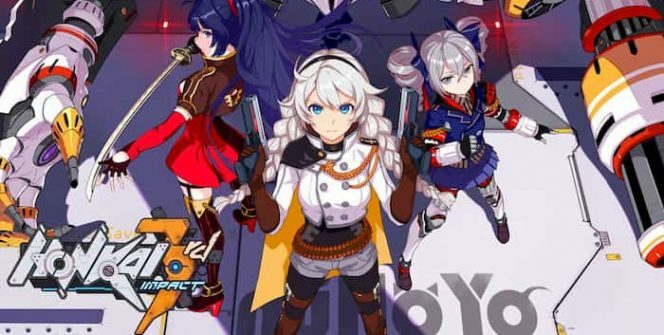 So if you’re ready to command your team of valkyries, it’s well worth downloading Honkai Impact 3rd. In order to lead your squad into battle. Sometimes when playing Honkai Impact 3rd, bluestacks ask you fee to pay but gives you option to download some apps. Every time it asks you just select “Install apps” and continue using it free. I hope you enjoyed this article, please rate and share. If you have problems running Honkai Impact 3rd on your desktop or any other issues, leave a comment below.